What's this 'Pink Worm' stuff all about? Listen, people. It’s 2015. The genie is out of the bottle. 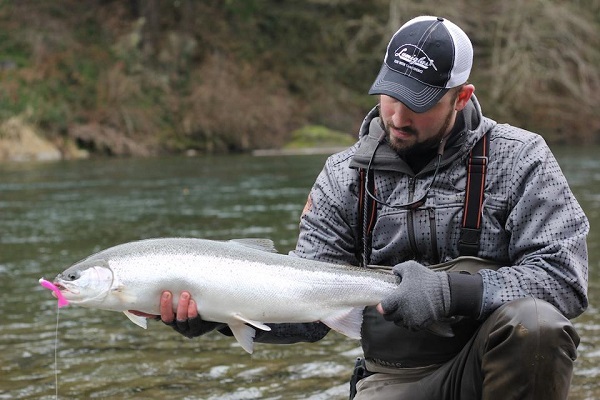 Steelhead are being caught everywhere on pink plastic worms. In fact, among the best float fishing anglers I know, the idea of fishing a jig under a float WITHOUT something pink and plastic dangling from it is becoming a tactic employed only in the lowest of low water winter steelheading conditions. Something about the worm just drives steelhead crazy. Copyright XFactor Manufacturing, LLC. All Rights Reserved.